Maddix Park | Canard injured again!!! 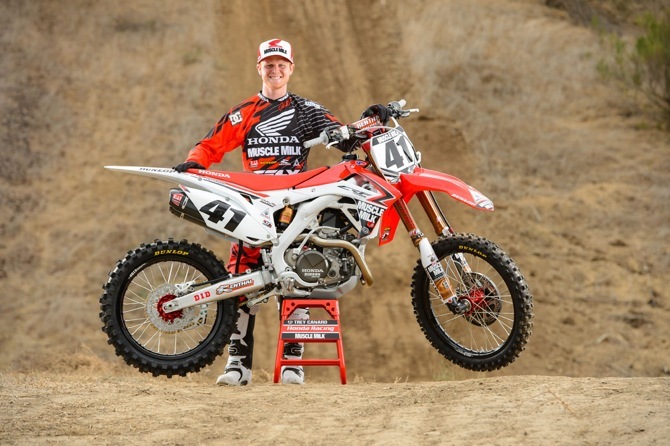 Team Honda Muscle Milk's Trey Canard was involved in a crash during practice over the Thanksgiving weekend while preparing for the 2014 Supercross season, sustaining a broken arm. Canard underwent successful surgery on Tuesday December 3, and will begin rehabilitation in preparation for the 2014 Supercross season. Canard had a successful 2013 season, highlighted by his sixth-place overall finish in the Supercross series and fourth overall in the Motocross standings.